Ezra Stieglitz’s art treads the line between fine art and décor in his latest exhibition at Beyond Arts Gallery. Some pieces are decidedly fine art; others, most definitely décor. 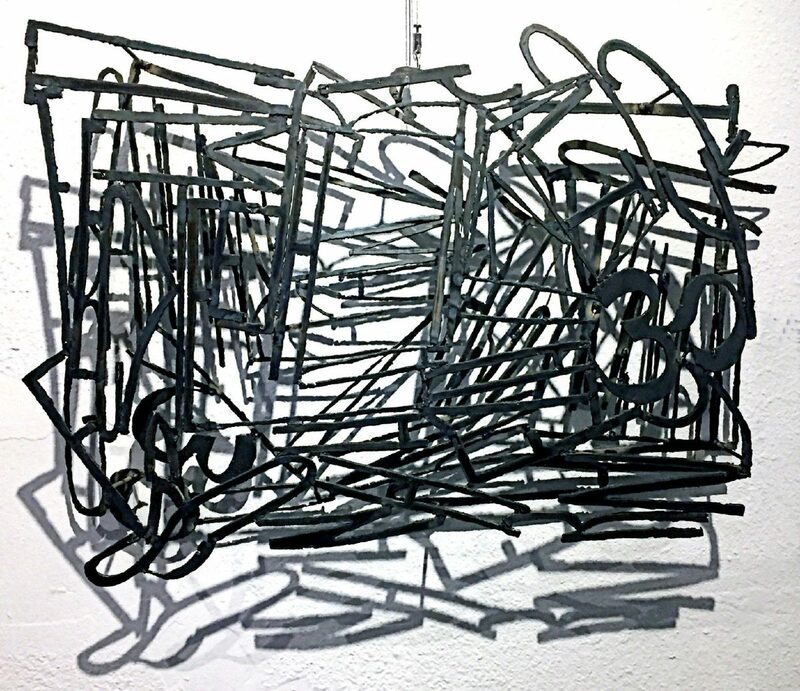 In his third Harlingen exhibition, he continues to show welded sculpture, mixed media LED structures, photographs, and introduces a new category — large paintings. Stieglitz unabashedly looks for the commissioned sales potential in his concepts and created works; his “Name Plates” — metal sheets with names appearing in negative space, often cut out for a particular buyer — seem aesthetically lacking. But what he did with the leftover metal cut-outs is pure sculpture. 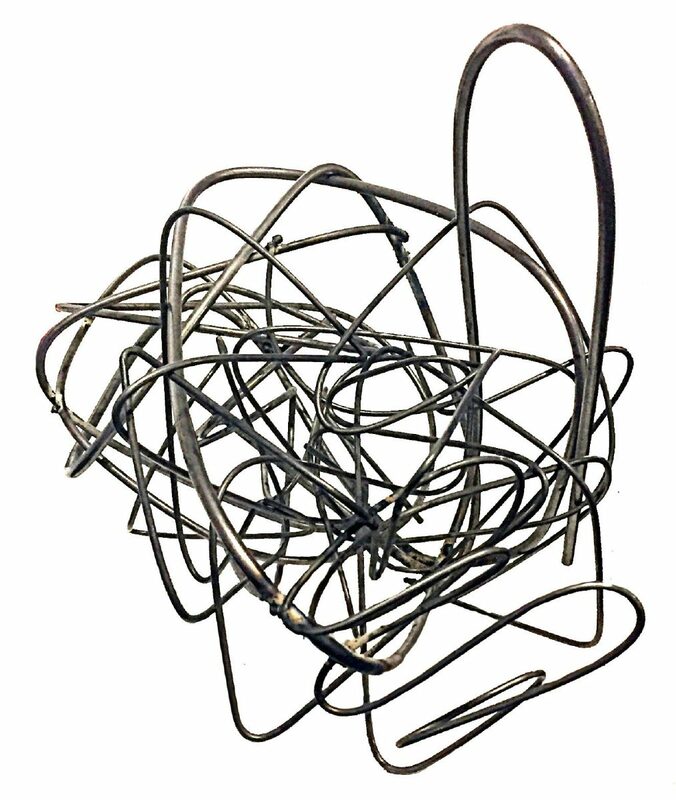 For his “Rudimentary Abstractions,” the scraps were welded together to form six sheets of informal metal lace-work. He turned these into three sculptures comprised of two sheets each to form fully dimensional structures. When placed on the wall, the double surfaces create reverberating shadows that mimic and then become part of the image, forming graceful and complex patterns. There is a pleasing ambiguity in determining where three-dimensional reality ends and ephemeral reality (shadows) begins. 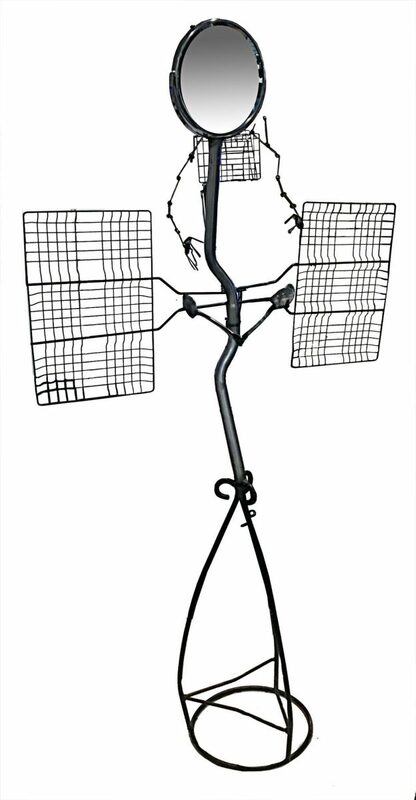 A series of smaller weldings, his “Scribbles,” are modestly sized tangles of steel wires that have become 3-dimensional drawings and can easily hold their own in free-standing spaces. Stieglitz mused about this group of works. “The ‘Scribbles’ are me thinking that if I were really frustrated and just scribbling all over a piece of paper, I’d grab onto one of those things and yank it out of the piece of paper,” he said. 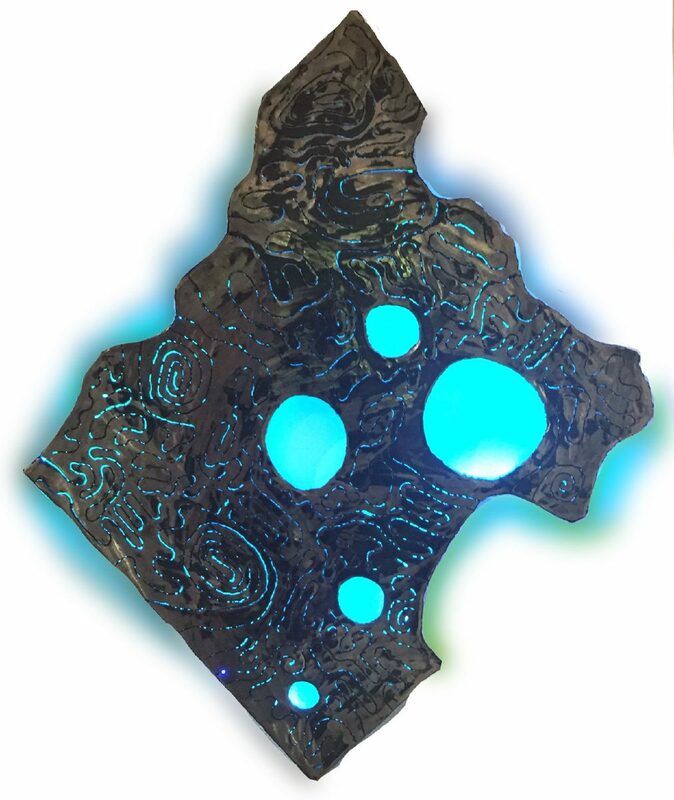 His “Bubble” series represents a visually strong concept, and clearly this series of steel wall hangings with LED lighting is the dominant feature of the exhibit. The “Bubble” sculptural works line the rear wall, all containing shifting colored lights, as if challenging their distant placement. 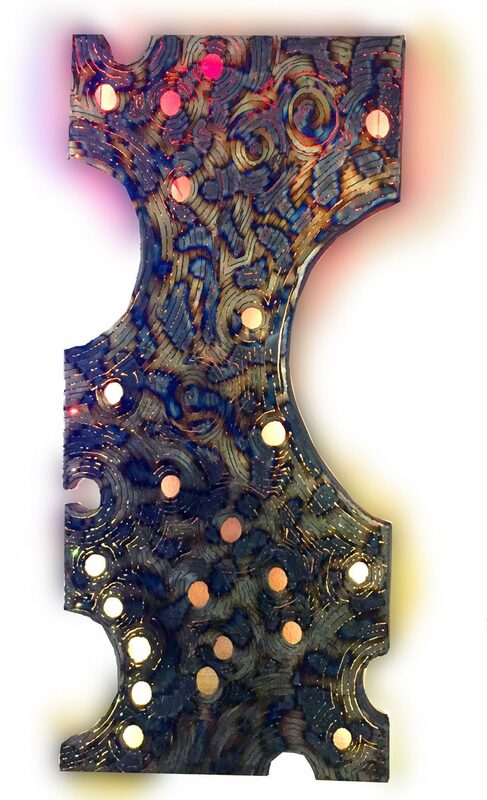 The metal sheet constructions are pierced with dominant circular shapes exposing blazes of the LED light. Their oxidized metal shapes are interesting, usually referencing no obvious source and revealing a complex tracery of transparent lines that with repeated light passages create the sense of a living object. It is very easy to think of them as extra-terrestrial creatures, temporarily held captive through invisible means. The photographs are nice, but not memorable, and as for the paintings, there’s really nothing to say. Stieglitz lives in Fort Collins, Colorado, where he owns and operates Ezra’s Art. Nancy Moyer, Professor Emerita of Art from UTRGV, is an art critic for The Monitor. She may be reached at nmoyer@rgv.rr.com.